Chalk up another win for Pixar, as their 19th film, “Coco,” has come away with a very successful $71 million opening over the extended box office weekend. Combined with holdovers like “Justice League,” “Thor: Ragnarok” and “Wonder,” the total box office revenue for the five-day holiday period came out to $268 million, up 3 percent from last year. It was a very eventful week for Pixar, and the news wasn’t always good. On Tuesday, studio founder and chief creative officer John Lasseter announced a leave of absence citing “missteps” in his behavior, a move that came prior to reports containing allegations of sexual misconduct from anonymous sources. 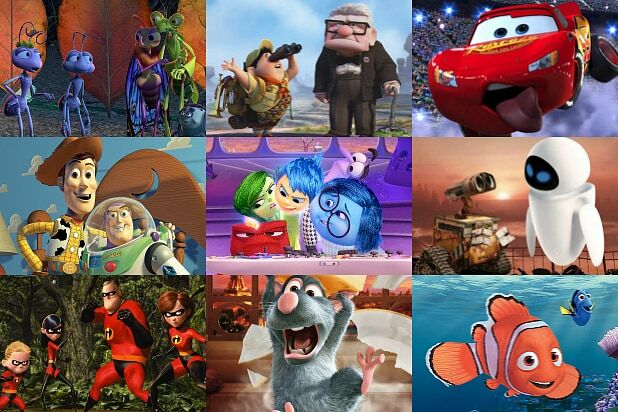 Though the news puts the future of Pixar and Disney Animation into question, it was not a factor for audiences — mostly families — in whether they were going to see Pixar’s latest offering. What probably did play more a factor was the critics, who gave the film rave reviews with a 96 percent Rotten Tomatoes score. But while Pixar films tend to be box office successes, it’s not always a guarantee, as “The Good Dinosaur” flopped in this release frame two years ago with $123 million cume while the studio’s other big release this year, “Cars 3,” didn’t do much better with $152.9 million. Here’s what helped “Coco” perform so well this weekend. While “The Good Dinosaur” didn’t do so well on Thanksgiving, “Coco” is the perfect film to release at this time of year. Thanksgiving weekend is a big weekend for families to head to the cinema, so Disney has made it a point to release animated films in this frame. In fact, Disney and Pixar combined to hold the top seven highest openings on Thanksgiving weekend. “Coco” ranks third on that list, fourth if adjusted for inflation with “Toy Story 2” placing ahead. “Coco” didn’t quite have the same pre-release buzz as its Marvel or “Star Wars” mates in the Disney stable, nor did it have eye-grabbing stars attached to it like “Moana” with Dwayne Johnson singing songs composed by Lin-Manuel Miranda. But critics were singing the film’s praises since its premiere at the Morelia Film Festival and, once it hit theaters, so did audiences, who gave it an A+ on CinemaScore. Though “Coco” will be entering a busy holiday market filled with Oscar contenders and the attention vacuum that is “Star Wars: The Last Jedi” waiting in the wings, it has all the makings of a long-running hit like “Zootopia,” which opened to $75 million and went on to gross $341 million domestic and $1 billion worldwide. “Coco” could also get a late boost in January, when it is expected to receive Oscar nominations for Best Animated Feature and Best Original Song. As more people see “Coco,” the bigger its must-see status will grow, even when Luke Skywalker joins Miguel, Hector and Dante in theaters. As part of its rollout plan, Disney has made “Coco” available with a Spanish dub and subtitles in select theaters. For Spanish-speaking audiences who can’t make it to those locations, it has developed an app called “TheaterEars,” which allows viewers to sync a dub in their own language on their smartphones. While its a small thing, it’s big for a film like “Coco,” which appeals to Mexican families who often have members who speak Spanish as their first or only language. It’s a mantra that has been proven at the box office time and time again this year, from blockbusters like “Wonder Woman” and “Get Out” to specialty films like “Moonlight” and “Lady Bird,” but releasing quality films made by and starring women and people of color will bring audiences in droves. 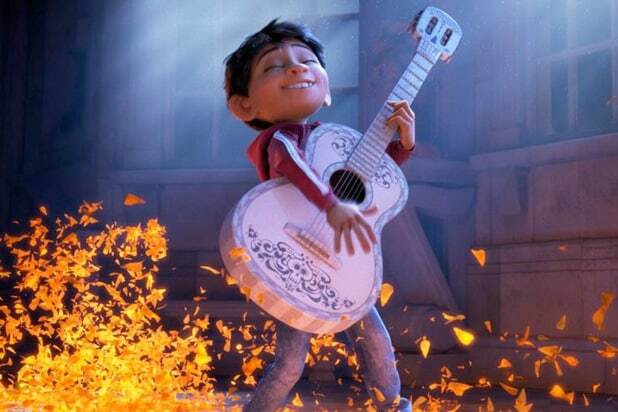 “Coco,” which is directed by Mexican-American Adrian Molina and “Toy Story 3” director Lee Unkrich, features an all-Latino cast led by Gael Garcia Bernal and Benjamin Bratt, and also includes Mexican stars like Alfonso Arau and Selene Luna. Critics have praised the film for its commitment to faithfully depicting Mexican culture, from its recreation of Dia de Muertos traditions to featuring cultural icons like Frida Kahlo and El Santo. Audiences want to see people of their race and culture being represented on screen, and Pixar has delivered in a big way.